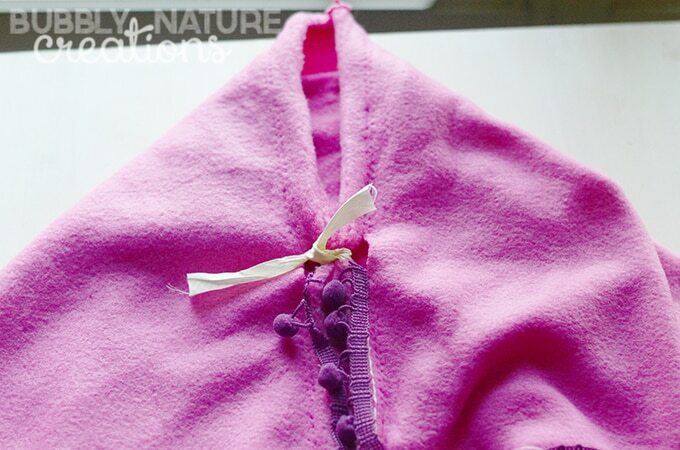 DIY Disney FROZEN Anna No-Sew Cape! My older two girls could not be any more like Elsa and Anna! It’s like Disney wrote the story around them…lol. 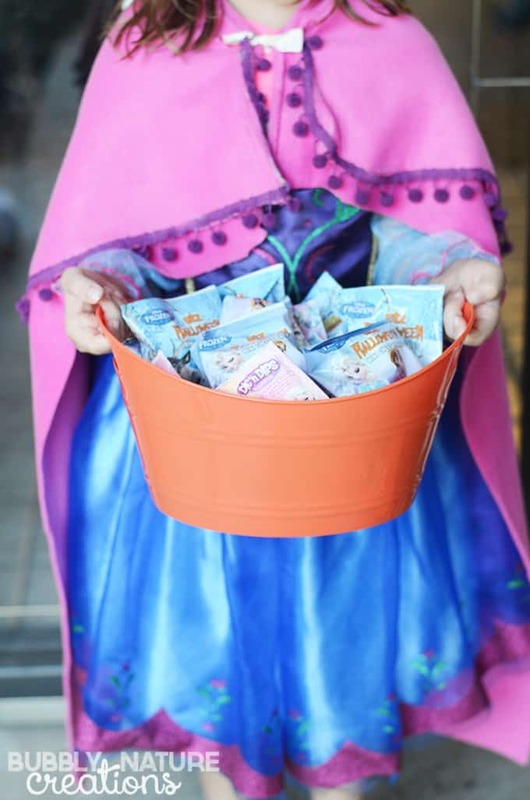 My second born is happy- go- lucky just like Anna in the movie and so we knew which FROZEN character she would pick to be for Halloween! 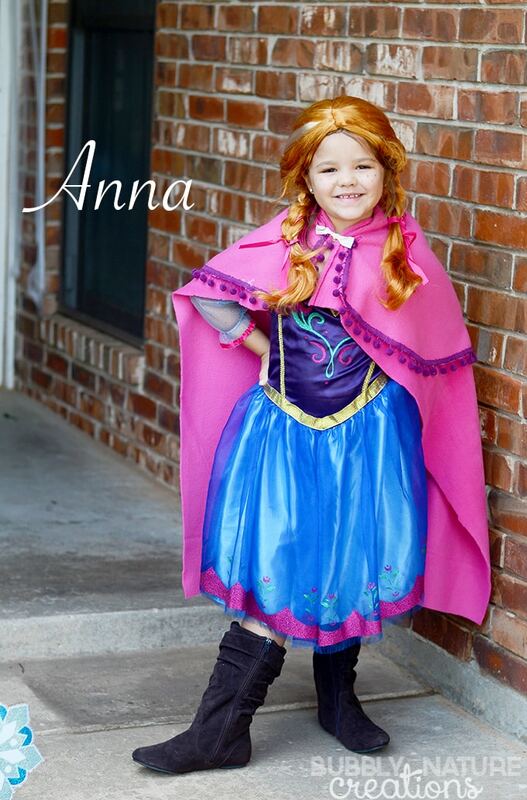 I just love the way that her new No-Sew Cape looks with the boots and Anna dress. It really makes the cheap store bought dress look custom made! Fun! 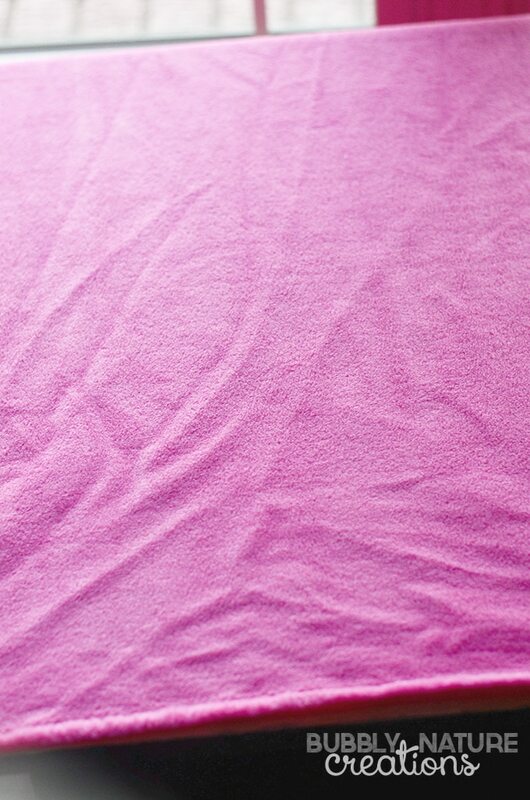 To make your own you will need two yards of thin bright pink fleece material (I found this at Walmart). 2 yards of deep purple pom pom trim (I found mine at Hancocks), ribbon to tie at front, scissors and fabric glue. 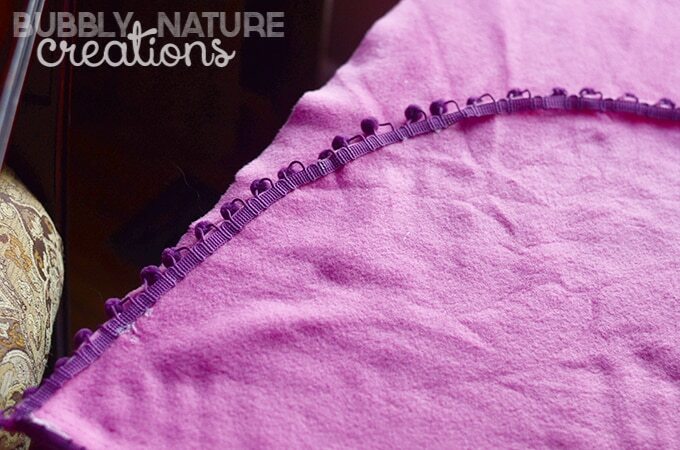 Cut your fleece to the desired length you want. We cut ours so that it would hang just at the skirt length on the dress… this seemed to look the best. We cut the width so that the material would just wrap around the shoulders at the top. You will need to have a measuring tape to measure these areas and then cut to the length and width you want. I then cut a semi circle for the top of the cape where the pom poms will go. I cut the semi circle the same width as the rest of the cape and the length was just to the middle of her back. I then glued the pom pom trim on with the fabric glue. At the front of the cape I cut small holes through both peices of fabric and tied a ribbon where they met at the base of the neck. 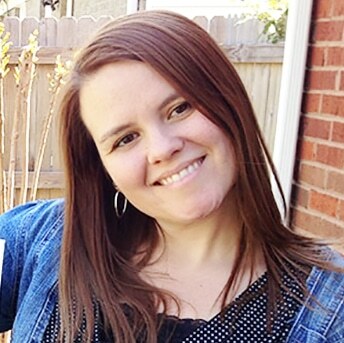 I just used the ribbon I had on hand, but you can use the color you would like. I think gold or black would look great! I was so happy with how it turned out! We can’t wait to show off the costumes as people come by our door for Halloween! So fun! 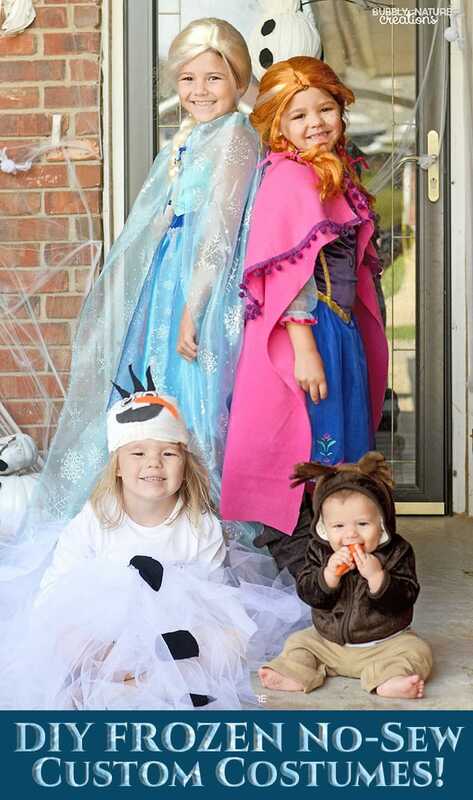 For more Disney FROZEN Costumes click here!